I was one of Dr. Harold Braxton’s “boys.” Dr. Braxton was the Religious Affairs Director and Dean of the School of Humanities at Virginia State University. After preaching in the Foster Hall Chapel, he served his Pastoral duties at Union Grove Baptist Church. I was blessed to serve under him with the Baptist Student Union and as a Seminary Intern when I was enrolled at the School of Theology at Virginia Union University. Quite a few of young people, especially aspiring ministers benefitted from “Doc’s” steady wisdom and refusal to fall for the latest trends in preaching. Charismatics were known for seeking out new members among the freshmen on campus. Their ministries were very exciting and upbeat. The lonely and impressionable students often fell to the style and expressiveness of what they had to offer. For a while, I was among those who fell for their doctrines and worship. But, after seeing some faults with this non-denominational movement and remembering the firm foundation given to me by my Baptist parents and community in King William, Dr. Braxton’s “boring” chapel sermons and steady Christian walk on campus made a lot of sense to me. I remember a word of wisdom he gave in one sermon that all but killed my flirtation with charismania. “Don’t shout any higher than you live.” To several students, these were words of the devil designed to “quench the Spirit.” “Doc” was a very spiritual man and was known to give a good “whoop” every now and then from the pulpit. But, the words from this veteran campus minister and pastor was a standard for us to avoid making exuberant praise and worship the standard of who we were as Christians. As young adults, we were faced with a plethora of temptations. Shouting, speaking in tongues, and the like may be exciting to participate in. But, true spiritual life meant having the Holy Spirit guide us through these struggles. As we are likely to fall to them, we must not carry some sort of false face of Holiness. Instead, we had to be humble about who we are in the Lord as we are far from who we ought to be. And being in our late teens and early twenties, not many of us could boast about how God brought us out from what we used to be since we weren’t really old enough to be anything to be brought out of. I think we would all do well to heed the wise words of Dr. Harold Braxton today. Pointing firstly to myself, it is way too easy for me to point a finger at modern churches and stick out my chest as a member of the Orthodox Church. It is easy to be complacent belonging to the 2,000 year old continuous connection to Christ and His Apostles. But, what good is it for me to boast of the greatness of Holy Tradition if I fail to devote myself to prayer and love for others? An icon on the wall is good. But, without using it as a window toward heaven and seeking the presence of God, it is nothing more than an interesting piece of religious art. Sure, I burn incense. But, clouds of smoke mean little more than a fragrance for my home if I do not have compassion on my fellow man. Like anyone else, Satan continues to attack me from all directions. How dare I act or speak as a sinless man. No, my shouting ought not be loud at all. May God bless me not to think of myself more than I should. For some time, I refused to comment on the convergence movement of Pentecostals that are accepting elements of Orthodox Christianity. After being among Baptist who refused even to investigate the African saints during Black History Month, I thought it was refreshing that non-denominational Charismatic and established Pentecostal denominational clergy were interested in the ancient faith. There are a couple of Orthodox priest who are in communication with some of these ministers. Perhaps this will lead to a mass conversion of African-Americans coming into the One Holy Catholic and Apostolic Church in the same way that some 2,000 Evangelicals came into the Antiochian jurisdiction back in 1987. I do hope and pray that this will happen. But, I sense that there is something different at work in this convergence movement. Rather than individual ministers and congregations moving to become fully Orthodox, too many of them are trying to be Orthodox and Pentecostal at the same time. Such a blending of these two Christian traditions is as possible as blending wax with water. 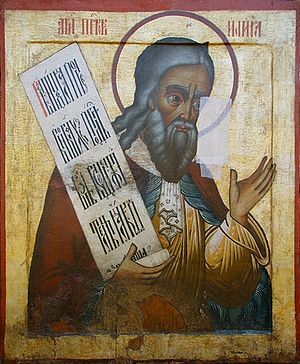 Orthodoxy was born directly from the teachings of our Lord and Savior Jesus Christ and His apostles. The coming of the Holy Spirit into the world on the Day of Pentecost sent the message of the Gospel in the ears of all men who spoke the various languages of the world. From AD 33 to today, Orthodoxy has maintained a historic succession of bishops and priest from those who knew Jesus as He walked the earth. The shared message of Christianity was no different from Amharic speaking Ethiopians to the Slavs of Eastern Europe. Despite a fifth century schism, Islamic invasions, Soviet oppressions and being overshadowed by Western Christendom; the Orthodox Church is one faith. American born Pentecostalism is completely different. The Topeka “Outpouring” of 1905 was only among white American Protestants with no concern for any other race or nationality. One African-American, William Seymore, learned about Pentecostalism by sitting at the window of a segregated Bible college. After hearing enough of this “doctrine” to preach it, he went to Los Angeles where under his revival services, people received the “baptism of the Holy Spirit” and the “gift” of “speaking in tongues” at a church on Azuza Street in 1906. Those of the Topeka event rejected their Azuza brothers and sisters as being too emotional. And in America’s climate of individualism and religious freedom, many Pentecostals (white as well as black) formed new denominations and non-denominations claiming to come from this same spiritual event. Orthodoxy comes from the pure and true source of God as Pentecost brought people together. Pentecostalism came from the false doctrine of segregation and self-importance. Our Lord taught us that one cannot harvest grapes from thistles or figs from thorn bushes. Because the vast majority of African Americans had little or no access to the ancient faith, some of us saw Pentecostalism as a viable path to God. Indeed, along with the black Baptist, Methodist, and other mainline churches; this movement was used by God to give salvation to a people whom American society deemed not worthy of a savior. But, when we discover the faith, history, doctrine, practice, and spirituality of the ancient apostles; what then is the point of holding on to the things handed down to us from a segregated man that he heard from a segregationist and was dispersed by men who sought their own areas of influence and produced sons who sought their own little fiefdoms from them? None. Like the one who grew up and put away the childish things, the one who is aware of Orthodoxy should put away Pentecostal doctrine. Some would argue that by holding on to Pentecostalism, they are holding on to black culture and style of worship. This argument is false. Up until recently, most African-American Christians were Baptist and Methodist Episcopal (AME and the like) and rejected speaking in tongues and other Pentecostal doctrines. Most black churches were known for “call and response” in worship. “Shouting” was not unheard of even among black Episcopalians. But, much of the emotion of our faith came from being in an enslaved or oppressive Jim Crow society. Many ministers who came from the seminaries such as Howard or Virginia Union were frowned upon as they taught their congregations to tone down these things and focus more on the substance of our faith rather than our style (I had a mentor that taught that you shouldn’t shout higher than you live). As legal segregation began to lose its grip on us and the “Black is Beautiful” concept grew, we began to define liturgies and less animated worship as being “white,” cold, dead, and spiritually empty. In the black church, there was no real worship unless the songs were upbeat, the preacher “whooped,” and folks “got the spirit.” Under these conditions, Pentecostal denominations like the Church of God In Christ grew exponentially. Non-denominational churches who taught the same doctrines sprang up frequently. In order to keep up with the popularity of Pentecostalism, mainline black churches strive to mimic the style of worship to the point where they have formed congregations and conventions that can barely be distinguished from them (the Full Gospel Baptist Fellowship is a prime example as they practice the “gift of tongues”). African-American Christian culture has produced a collection of spiritual music that is the equivalent of anything produced in Byzantium or Holy Russia. There are Orthodox priest who recognize this and include such songs in special services and, in some cases, the Divine Liturgy. There is a distinctive style in African-American preaching. Anyone who has ever heard Fr. Maximus Cabey deliver a sermon knows that there is room for our voices in the world of Orthodoxy. In the Orthodox churches in Africa, drums are frequently used and shouts of praise that are a part of their tribal cultures. The Ethiopian Churches in America are no different than the ones in that land that was evangelized by St. Matthew himself (and why not embrace the faith that came directly from a Gospel writer rather than something gathered from what was heard from a segregated classroom). Thus, black clergy and laity who fear losing their cultural identity if they convert need not worry. Orthodoxy does not call us to forget who we are. It does call us to renounce false doctrines. Pentecostalism is false, Orthodoxy is truth. Truth cannot be yoked with falsehood. It is better for a Pentecostal to reject Orthodoxy all together rather than try to blend the two doctrines. From the Roman persecutions, Ottoman oppressions and genocides, to the Bolsheviks and the murderers of Hailie Selassie, to the modern age of terrorism, Eastern and Oriental Orthodox Christians are dying for holding on to the full truth of the faith. How can it be godly for anyone to cherry pick a few favorite text from the early fathers and combine them with frequently used catch words and phrases? Antiochian Metropolitan Paul and Syriac Archbishop John are still being held captive in Syria by “freedom fighters.” How can anyone wear the vestments of their churches when you are not even a member of them, much less have gone through the training and received their apostolic succession? If one would not wear a Marine Corps uniform to Paris Island and not be a Marine, or give a fraternity call or sign and not be a brother, where then is it honest to dress and speak as an Orthodox clergyman and you are not? This behavior of the convergents is very disrespectful to our suffering brothers and sisters in Christ. At least the COGIC who wears his traditional vestments or a suit is not pretending to be what he is not. A group of Anglican “monastics” visited the St. Herman’s Monastery in California back in the 1970’s. Seeing how they decided to pick and choose what they wanted from Orthodoxy, Fr. Seraphim Rose urged them as they left not to take anything from the Church and try to merge it with what they were doing. “One must fully come to Orthodoxy, or leave it alone.” Keep in mind that Fr. Seraphim was a man of great intelligence and could have succeeded in nearly any field or pursuit of his liking. But, he gave up everything to live in prayer and repentance as a monk. Would it kill any of you convergents to give up your titles and fully embrace the ancient Church that you are so interested in? With education and training, some of you may be called to the priesthood and have predominately African American Eastern or Oriental congregations. You may be the ones who help blend the best of African American culture with Orthodoxy the same way that Sts. Herman and Innocent of Alaska blessed the best of those native cultures as the people became Orthodox. As it stands now, I fear that your attempt to be two things that are incompatible at the same time is no different than being neither cold nor hot in the mouth of the eternal one. I pray that you will choose to be one or the other while there is still time to do so.